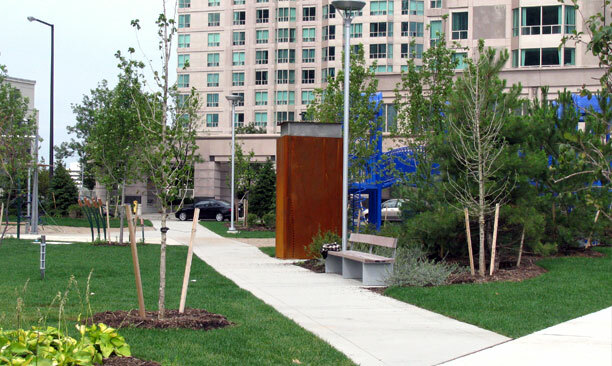 Lee Centre Park - PMA Landscape Architects Ltd.
Nestled among high-density new condominium developments adjacent to highway 401, Lee Centre Park provides a much-needed green recreational area to the residents of the surrounding towers. 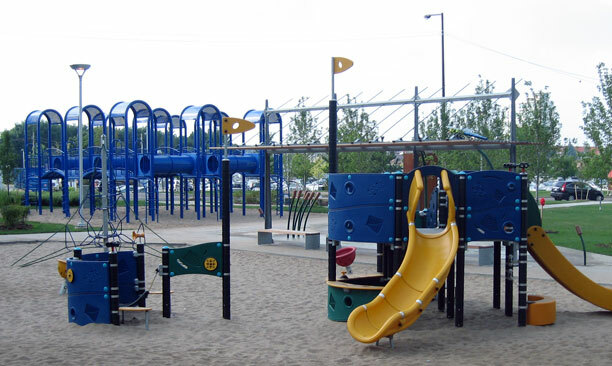 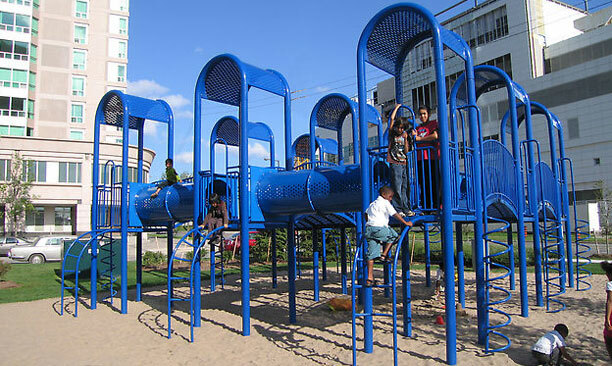 At 0.43 hectares, Lee Centre Park provides a significant amount of program and play value in a small area. 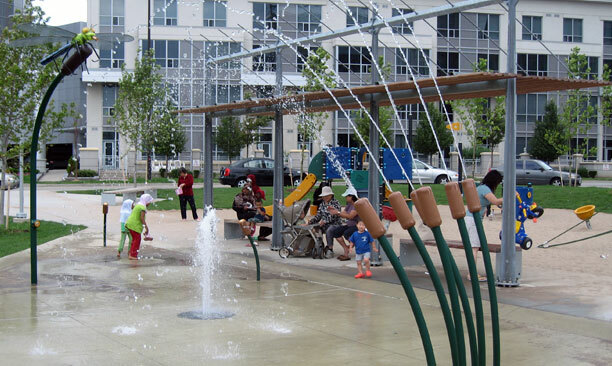 The park includes a splash pad, a junior play area and a senior play area that was designed by artists Dan Young and Christian Giroux. 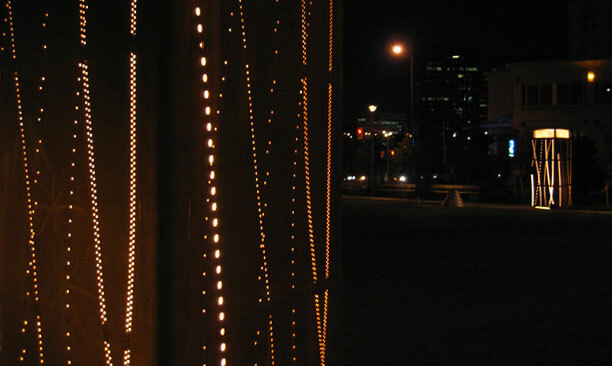 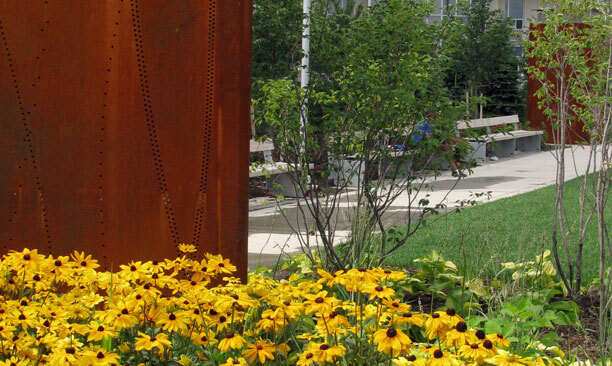 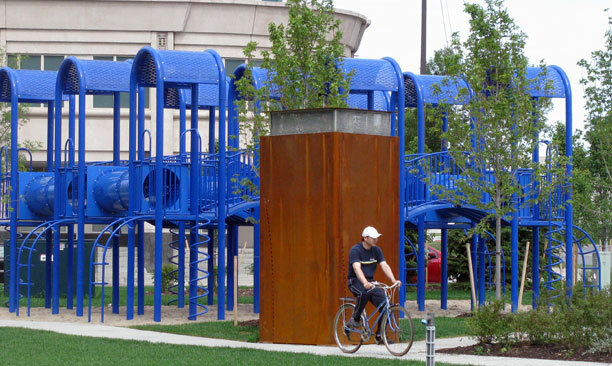 Lee Centre Park is an excellent example of how landscape architects and artists can collaborate to design excellent municipal parks. 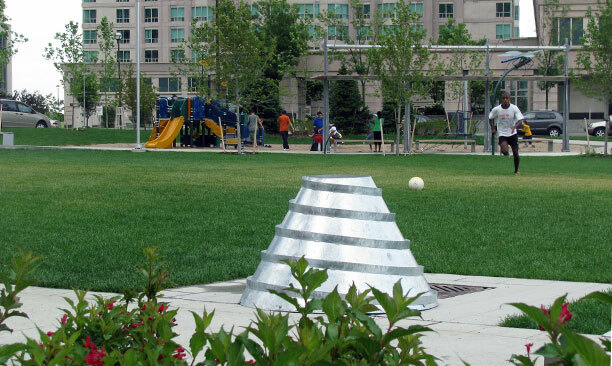 The artists were integrated into the creative process of designing the park from the very first steps. 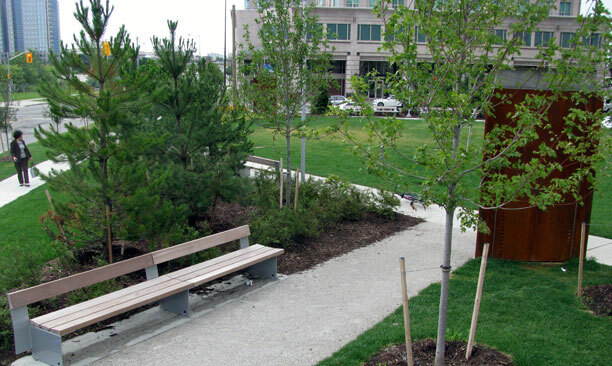 Young and Giroux attended all project design meetings and public information sessions, taking inspiration not only from the site and surroundings but from the expressed opinions of the local residents.